Sindh High Court On Monday given verdict on Monday that name of former President of Pakistan General Retired Pervez Musharraf will not be removed from Exit control list until all cases against him are cleared. Exit control list contains names of those people who are not allowed to travel outside Pakistan. 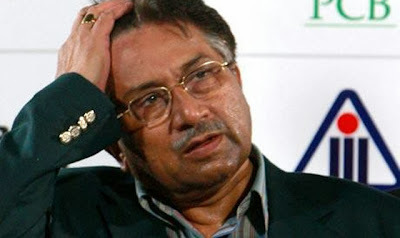 Pervez Musharraf appealed in court that he wants to visit Dubai to see his mother but Court has rejected his appeal. right now Pervez Musharraf is facing treason case according to Article 6 of the Pakistani Constitution. treason case against former President was started after he got bail in other cases of Benazir Murder, Akbar Bugti Murder and Lal Masjid Incident. treason case is a Important one in Pakistani history because for the first time in history a former Military dictator is going to see it. however experts says even if Musharraf is declared guilty under this case then he will not be punished and will be allowed to leave the country after some deal like Musharraf allowed Sharif brothers to leave Pakistan after Martial Law in 1999.